Still being a joy to behold to this very day. Regular readers of Fireworks & Rocktopia will know that we have a soft spot for all manner of Canadian rock and while the likes of Coney Hatch, Moxy and Santers led the underground in melodic rock, Saga and Rush were setting the standard in Canadian prog. By 1977 both of these enduring bands would be well on their way down the long winding paths we've loved wandering with them, however along with the likes of Max Webster, there were other Canadian melodic prog delights to be found. 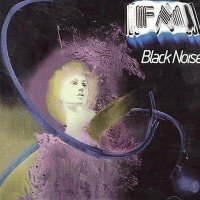 None less than the duo, turned trio FM (not to be confused with the UK AOR act of the same name) whose debut effort 'Black Noise' would initially be released as a limited run of just 500, through the Canadian Broadcasting Corporation, before being picked up for full release by Passport Records. Formed by the enigmatically monikered electric violin/mandolin/glockenspiel playing "Nash The Slash" (Jeff Plewman) and synthesizer/piano/bass wielding lead singer Cameron Hawkins, the pair began formulating a sound that through the innovative use of electric violin and synthesisers, did away with the need for a guitarist and initially drums. However realising the lack of live percussion was holding them back, by the time 'Black Noise' was to be recorded, Martin Deller was adding that aspect to an FM sound that veered wildly between hard rock, prog and avantgarde, making for a compelling, captivating experience. Based round Star Trek for its concept, although some songs hint at other popular sci-fi of the time, the likes of 'Aldebaran' and 'One O'Clock Tomorrow' show the melodic, vocal led side of the band to perfection, being soft, beautiful and seductive, while the noise and effects of 'Black Noise' or 'Hours' bring an altogether less song based format, being almost free-form prog workouts. Both aspects of this album work well and any prog fan will find much to entice many repeat visits. By the time 'Direct To Disc' was recorded "Nash The Slash" had set off on a solo career, Hawkins wryly mentioning in the excellent sleeve notes that "Nash... is fundamentally a solo artist... From when we started FM, I figure he played with us a third of the time and on his own two thirds of the time". His replacement was the equally multi-instrumentally skilled Ben Mink from folk outfit Stringband. 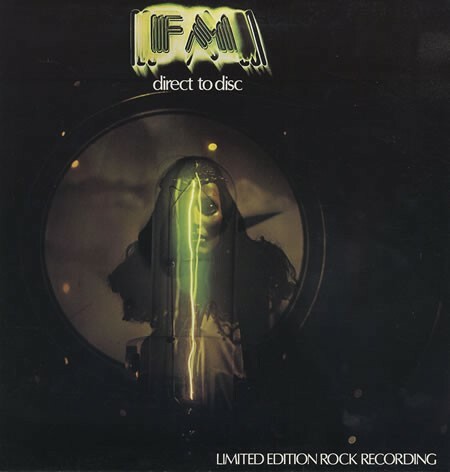 However there was no easing in process for the newest FM'er, with 'Direct To Disc' taking its name from the recording process used to keep it for posterity, whereby a needle cuts a groove into a flat piece of lacquer as the music was performed; hence making for a one take, one off band recording. Almost through its very nature, the music presented here (curtailed to two fifteen minute tracks due to the limitations of the original recording medium – and therefore making this re-release available at "budget" price), is far less song based, also being purely instrumental. The results are impressive, if far less structured than the debut. However, with each band member given the opportunity to stretch out on their respective instruments, of these two reissues, available in Europe for the first time, 'Direct To Disc' is by far the most experimental. That said to hear FM in their purist form, it really should be 'Black Noise' that you experience first, the clash of early Rush, Saga, Jean Michel Jarre and many less mainstream influences still being a joy to behold to this very day.